One of the biggest books of the year just got bigger! Today, Marvel is proud to announce that the AMAZING SPIDER-MAN #1: SPECIAL EDITION is available for download right now via the Marvel Comics app and Marvel Comics Digital Storefront! 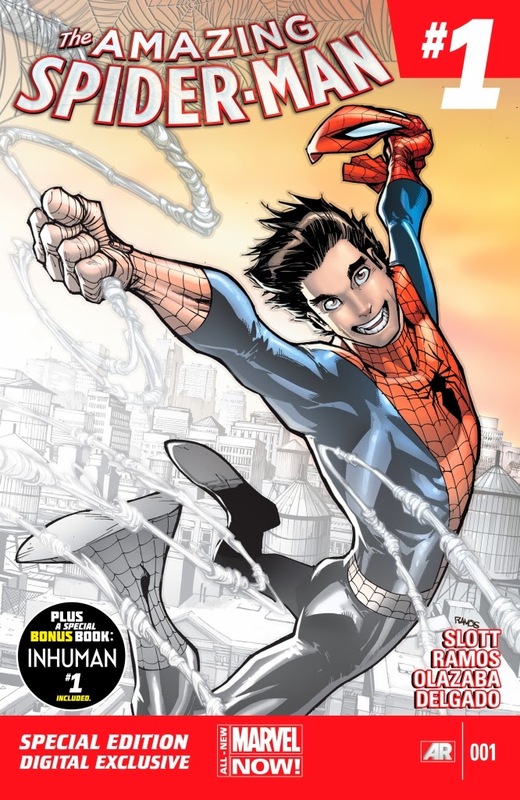 As New York Times Bestselling creators Dan Slott and Humberto Ramos along with a number of the comic industry’s finest welcome Peter Parker back to the greater Marvel Universe, go deeper into one of the most highly anticipated comics of all time. Not only does this digital exclusive version include the full issue of Amazing Spider-Man #1 as well as a free bonus issue of Inhuman #1, but you’ll also get a peek behind the curtain at the making of one of the biggest comic books of the year. See the process that went in to the making of this landmark issue as you go from script to pencils to inks to colors with this exciting special edition. 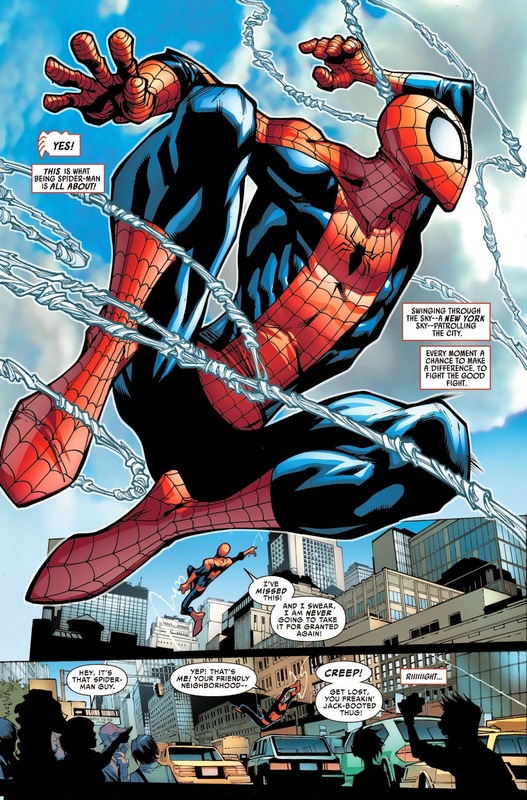 Read Dan Slott’s script to Amazing Spider-Man #1 in its entirety and see how artist Humberto Ramos, inker Victor Olazaba and colorist Edgar Delgado brought the script to life with each page reproduced in a pencils only and inks only format. Then, celebrate the return of Peter Parker with an exciting Amazing Spider-Man #1 variant cover gallery. Featuring the talents of Alex Ross, Marcos Martin, J. Scott Campbell, Skottie Young and more, witness some of the greatest artists in the industry celebrate the return of Peter Parker in style! With the return of Peter Parker already taking the world by storm, no fan can afford to miss the blockbuster Amazing Spider-Man #1! Download the digital exclusive AMAZING SPIDER-MAN #1: SPECIAL EDITIONtoday! AMAZING SPIDER-MAN #1 is also available in print today at your local comic shop. To find a comic shop near you, visit www.comicshoplocator.com or call 1-888-comicbook. For more on Marvel’s Amazing Spider-Man, please visit Marvel.com. Join the conversation on Twitter and don’t forget to follow us at @Marvel [www.twitter.com/Marvel]!